We had plans yesterday to go to the Seattle Art Museum for First Thursday, when it’s free, but with a forecast of warm sunshine, I just couldn’t bear to be inside all day. 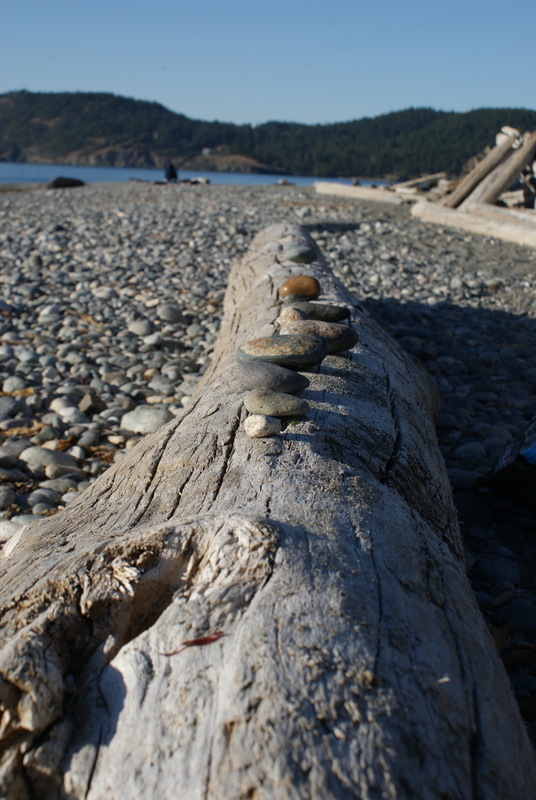 I wasn’t feeling up for a hike, though, and we hadn’t spent much time at the beach this summer, so we all agreed that Deception Pass SP would be a great destination for the day. 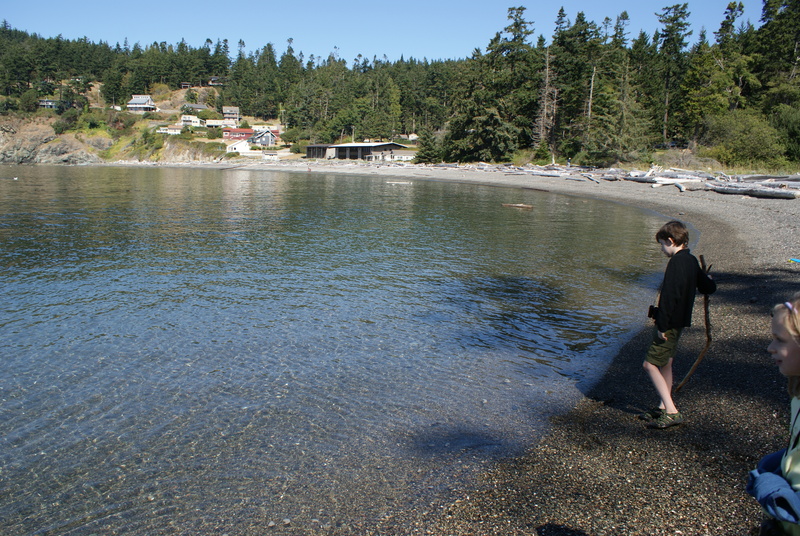 We arrived at Rosario Beach in the early afternoon. Serendipitously the tide was out a bit, exposing the rocks and tide pools. This beach got totally hammered several years ago when hundreds of people came for a low tide event, and has never recovered. So they put in a trail through the rocks, consisting of silver disks connected by nylon rope. 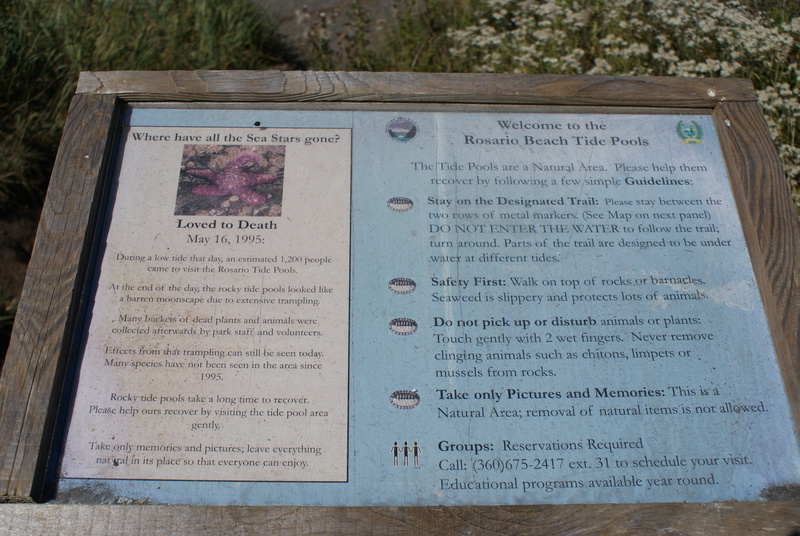 You can walk along this trail and spare the majority of fragile intertidal sea life. 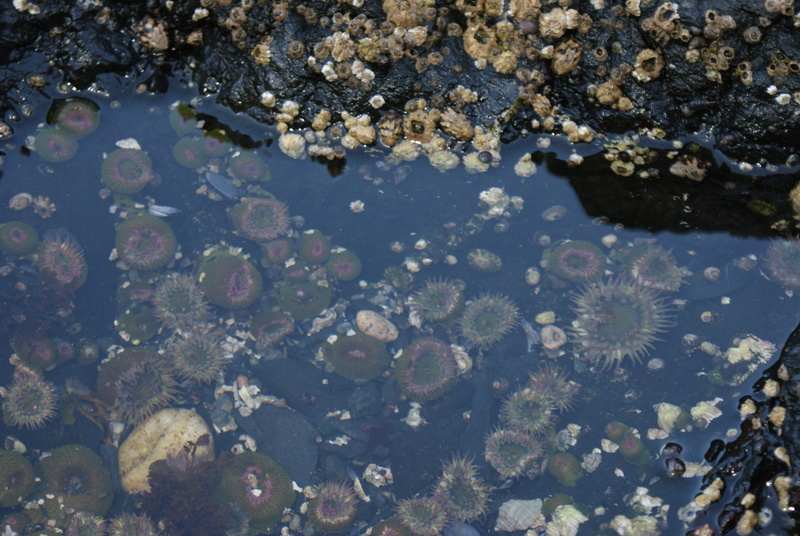 We enjoyed looking at the abundant anemones. We watched barnacles sending out their feathery tentacles to catch food in the water. 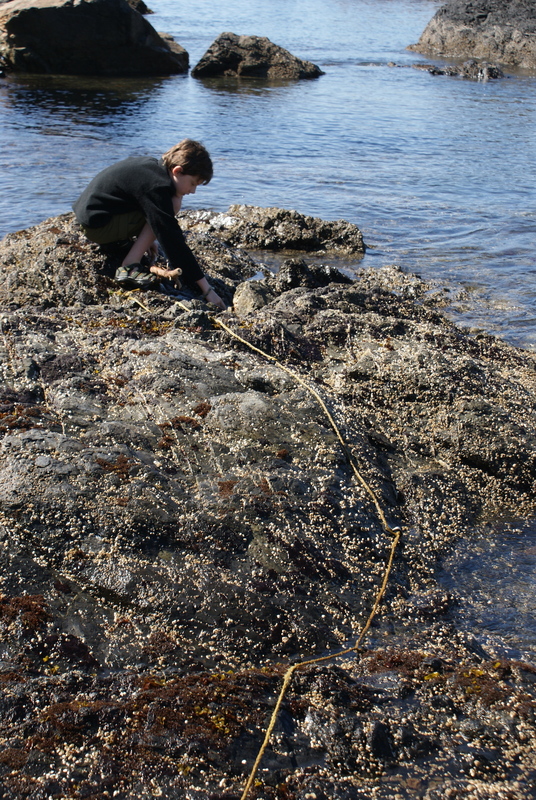 We also saw limpets and mussels, and several different kinds of sea weed. And a clackety kingfisher flew around and perched in a tree on the shore. Some cormorants swam out in the water, but other than that, it was a slow birding day. But the beach at Rosario is rocky and cooler than we’d like, so we went back to the car to go over to West Beach. 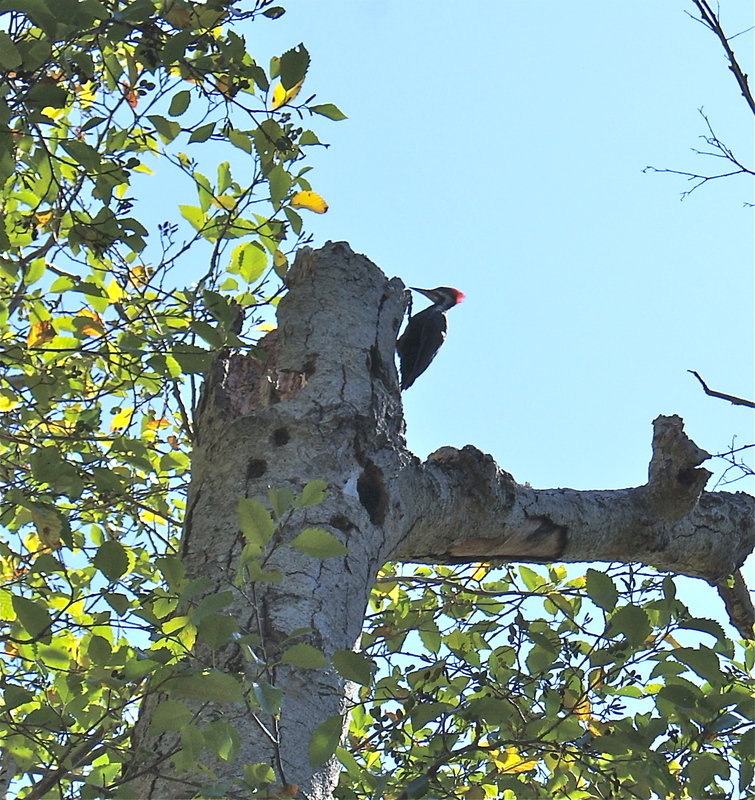 As we were getting back into the car we saw a pileated woodpecker in an old cottonwood. It is breathtaking to see these birds at work; they are so large compared to our feeder birds! We watched it for a bit before it flew off. Then we continued over to sunny West Beach. It was perfect. 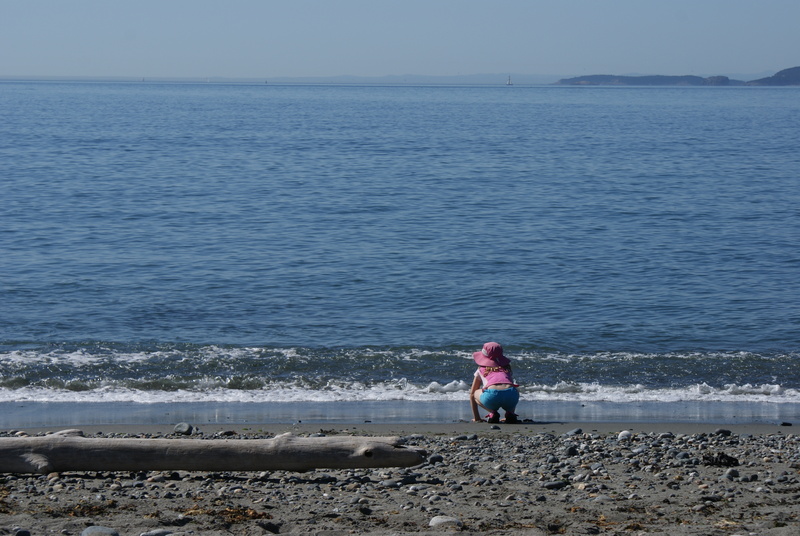 There were a few people there, but nothing like the summer hordes we always try to avoid. 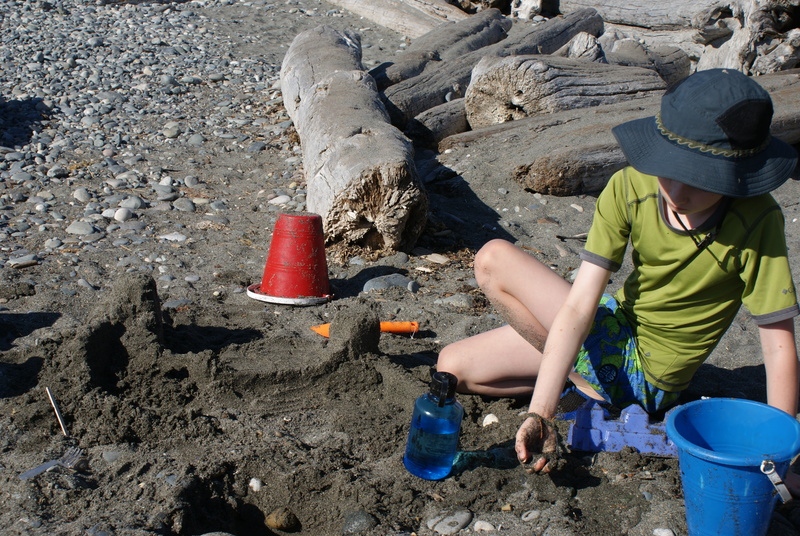 Gabriel had checked out a book from the library about constructing sand castles, and had brought along special tools to help him with this task. He was very focused on the details of his creation, and worked at it for much of the afternoon and evening. 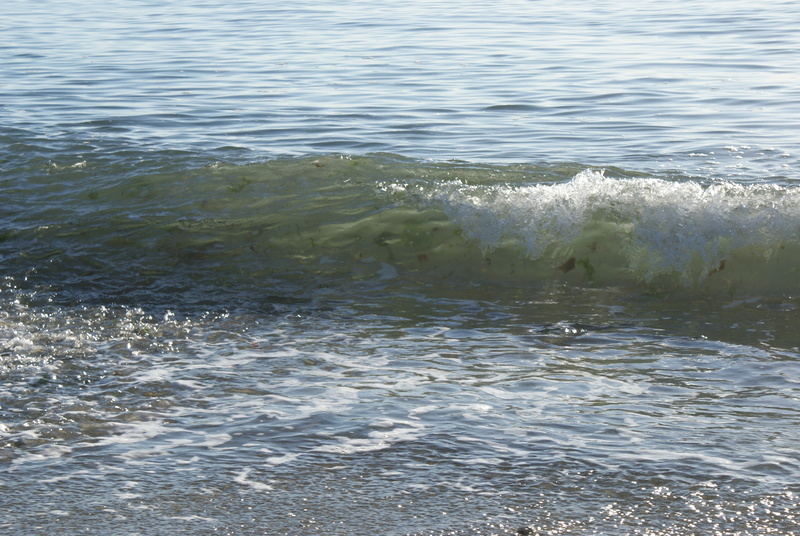 Annika ran in and out of the little wavelets that whished gently up onto the shore. 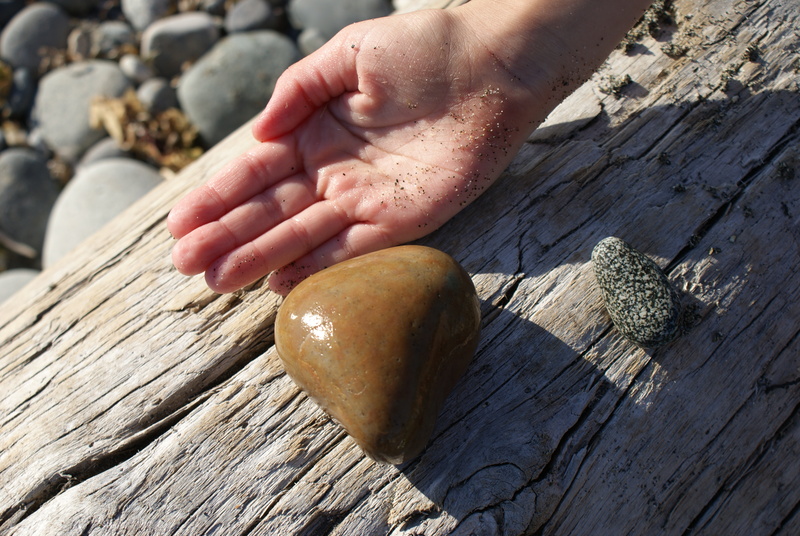 She wanted me to take photos of every pretty rock she found. She has such a fabulous imagination, and was pretending to be several different animals over the afternoon – an otter, a lion, a seagull. And I sat in my chair and read. In between helping with snacks and drinks and bathroom trips, I made it over halfway through my new FICTION book. It has nothing to do with homeschooling, parenting, or religion (none of those are bad, it’s just all I’ve been reading lately.) I haven’t read a fiction book since… well, I don’t remember! It’s been awhile. 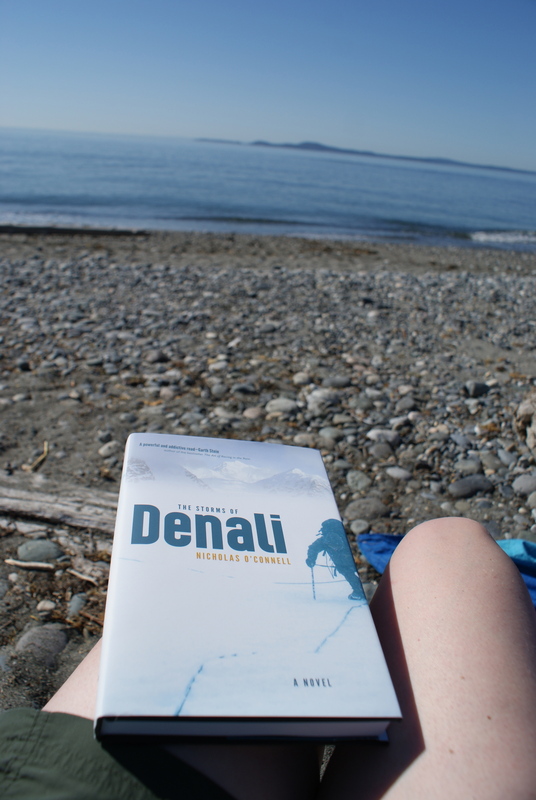 It felt luxurious to be able to soak up some vitamin D, hear the peaceful water noises, and breathe the salty air. We all really needed a positive relaxing time, especially as we ease into the new school year and increased requirements for everyone. 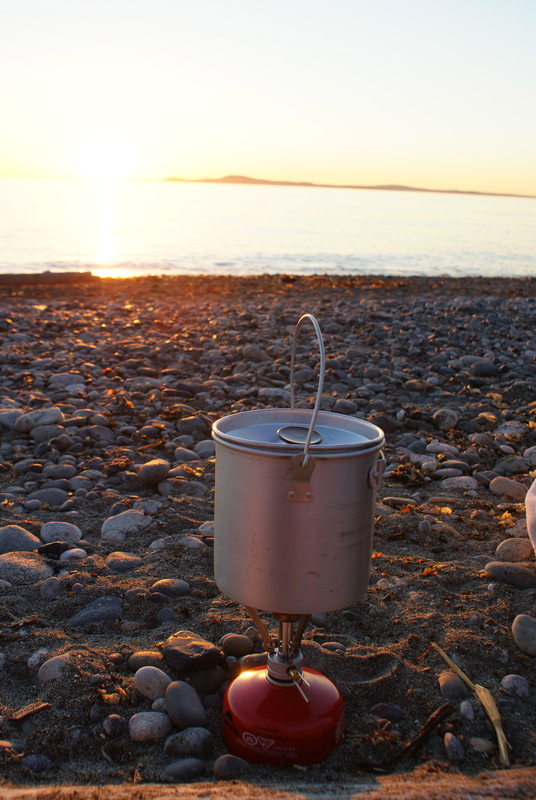 The kids wanted to stay until sunset, so we lounged the afternoon away, and as the orange globe sunk to the horizon I pulled out the little hiking stove and heated up some hot cocoa. 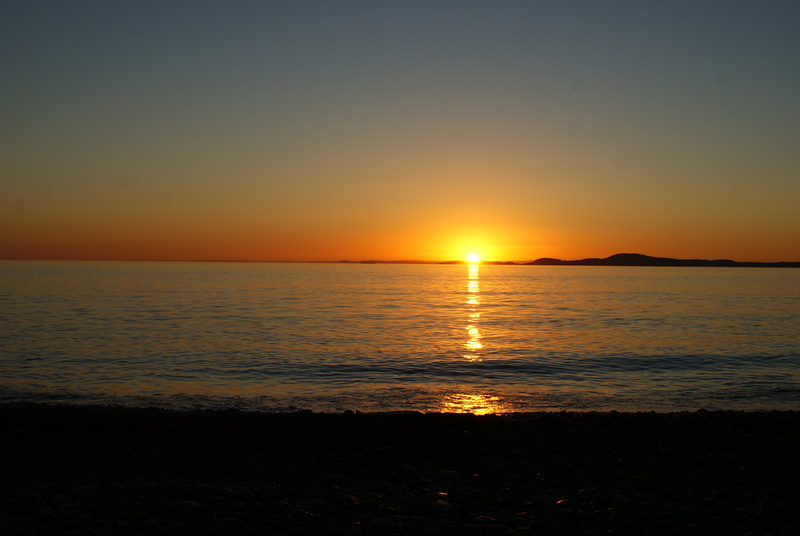 It was a lovely finish to a lovely day. This kind of slowing down is so necessary for my mental health. It’s like hitting the reset button, clearing my head and settling my heart. Today I was more ready to face the tasks of school and home that require so much focus and discipline. ← Puget Sound Bird Fest coming up!